ENHA and the European associations of elderly care providers EAHSA and EDE are developing an international hallmark for hospitality and good nutritional food in the nursing home sector: the EUROPEAN RESTAURANT AND HOSPITALITY IN ELDERLY CARE AWARD (EURHECA). EAHSA, EDE and ENHA advocate good nutrition and tackle under-nutrition in older people and coach facility management to realise that. A new, voluntary audit system will stimulate management and carers of nursing homes to drive apetite of residents and chef’s meal appraisal to the highest level. 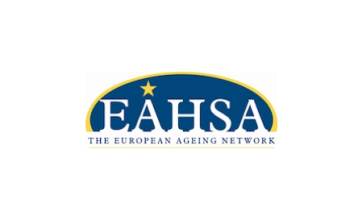 With an international bench-mark and award-winning opportunity EAHSA, EDE and ENHA will provide a useful management tool and PR instrument to evaluate and promote hospitality and food&beverages policies in nursing home settings. Through an online questionnaire and external audits, management, carers, residents and families can give their opinion on hospitality policies in nursing homes and find inspiration to improve the meal experiences of older people. Management can use these to improve and to get inspired.